Can You Really Make Money With Team National? 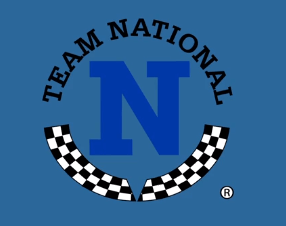 The marketing for Team National makes the company sound amazing. Even so, there are some clear red flags as well. If nothing else, it’s worth understanding the company before you consider paying any money. Can You Really Make Money With Rain? With all the marketing rhetoric Rain offers, it’s not surprising that some people love the products. But, can you turn that interest into a successful business? This review tackles that exact question. Can You Really Make Money With Trades of Hope? There are some aspects of Trades of Hope that I really like, including the ethical focus. But, what does this mean for your chances to make money? Can You Really Make Money With Jordan Essentials? Jordan Essentials is an interesting company if you like skincare and clean products. The question is whether their items are good enough to win out in this highly competitive industry. Can You Really Make Money With Agnes & Dora? I can see why people find Agnes & Dora interesting. From a product perspective, the company may be worth pursuing. However, the way you make money creates some serious issues that could limit your chance of success. Can You Really Make Money With Traveling Vineyard? The idea of Traveling Vineyard works well and it’s nice to see an MLM that is different. The products would even be popular with the right audience. This post looks at what that all means for income potential. Can You Really Make Money With Younique? As an MLM, Younique comes with all of the challenges and complexities that you may expect. Even so, it has some key advantages as well and could be worth looking into. Can You Really Make Money With Nspire Network? There are many aspects that I like about Nspire Network. At the same time, the company has some significant limitations. These would affect your chances to make money. Can You Really Make Money With Xooma Worldwide? Xooma Worldwide operates in an industry with high demand and the products are interesting if nothing else. Even so, there are some serious issues at play that need to be evaluated carefully. Can You Really Make Money With red rock Traditions? As companies go, red rock Traditions does have appealing aspects. The product line would work well enough and many people would be interested. But, the company offers little information about how you’re meant to make money from them.